The IX53 has been designed from the ground up for routine microscopic analysis. 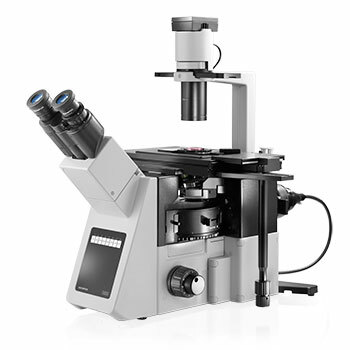 Combining excellent optical performance and mechanical quality you get a microscope system of outstanding value and comfort for the frequent, regular use. Features such as the pre-centred phase contrast, relief contrast and the flexible UIS2 DIC system enable easy manipulation across all magnifications for thin and thick specimens. Condensers with different working distances and long working objectives allow observation and documentation in even the most complex sample devices.